The complete guide to North Carolina's stunning coast—some of the most beautiful in North America—is better than ever in this revised, updated, and beautifully redesigned edition. 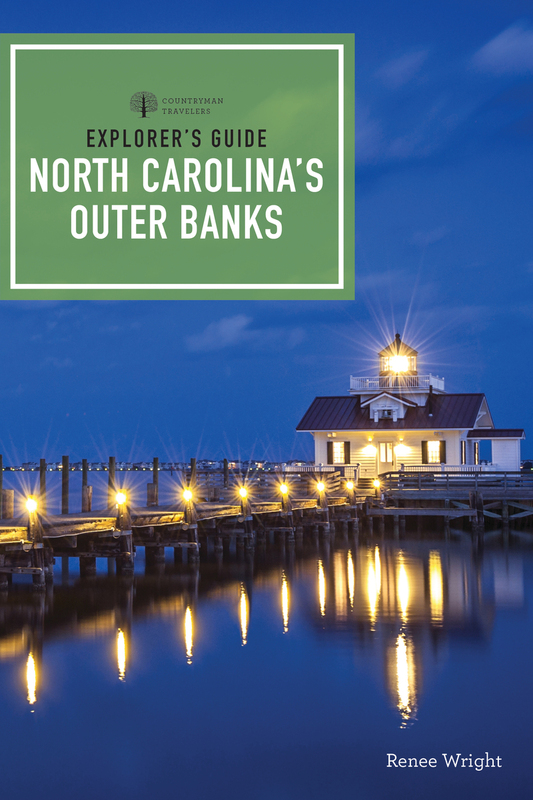 Detailed reviews of lodging, dining, and recreation, plus outfitters, campsites, trails, and point of historic and cultural interest make this book the indispensable companion to the incomparable Outer Banks region. Renowned travel writer Renee Wright makes it easy to get the very most out of your journey to this majestic destination. In addition to the overwhelming beauty of North Carolina's shores, the Outer Banks preserves history and traditions lost to more urban areas of the eastern United States. So, whether it's wild Banker ponies, historic Kitty Hawk, or hidden beaches that visitors would otherwise never find, the gems of the Outer Banks are yours to discover. A native with deep roots in Virginia soil, Renee Wright knows the region as few others do. She has written articles on destinations throughout the South and is the author of Explorer's Guide North Carolina’s Outer Banks & Crystal Coast and Explorer's Guide Myrtle Beach & South Carolina's Grand Strand. Wright lives in Charlotte, North Carolina.